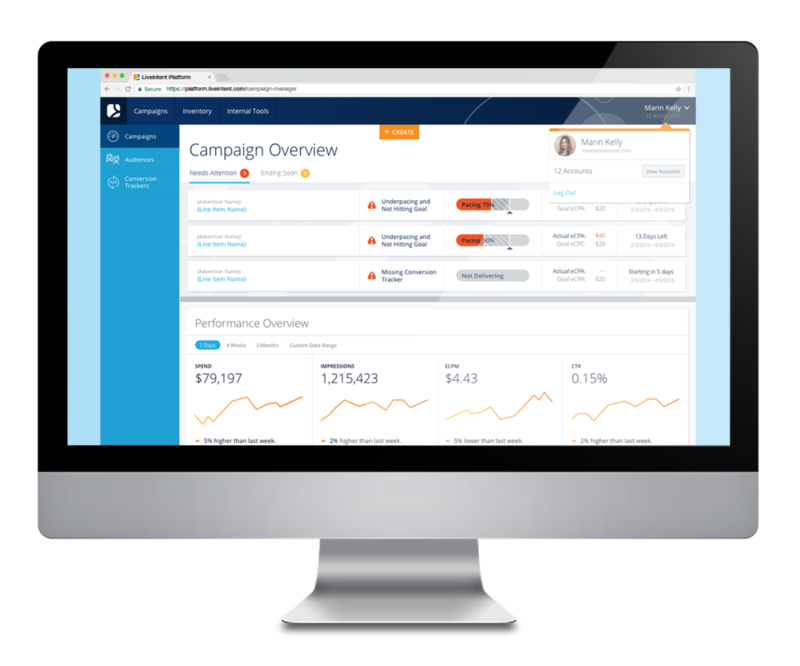 The campaign manager is an application used by Account Managers and Ad Operations to monitor and optimize campaigns to ensure they achieve or surpass their goals. I joined the team after the initial research phase had been conducted. 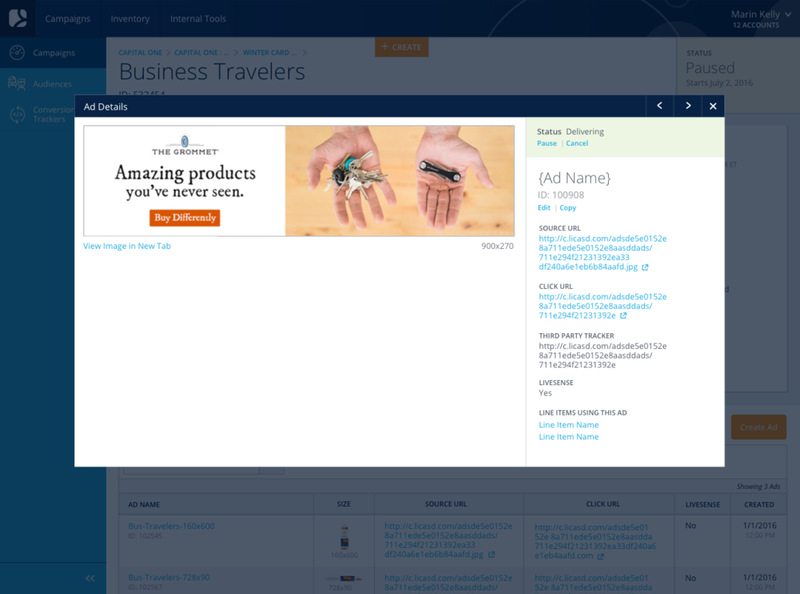 I was tasked with redesigning the product, both interaction and visual, to create a valuable experience. I produced all major deliverables, validated the designs with users, and presented these to the executive team and stakeholders. I worked alongside another interaction designer and design lead. I partnered with a product manager and two other designers to uncover insights, form requirements and translate concepts into features that addressed customer behavior and motivations. We created frameworks and prototypes to share the vision, design principles and strategy with stakeholders and development teams, in order to evangelize ideas and facilitate alignment. We defined the product with our product manager, evangelizing customer goals while balancing business goals. 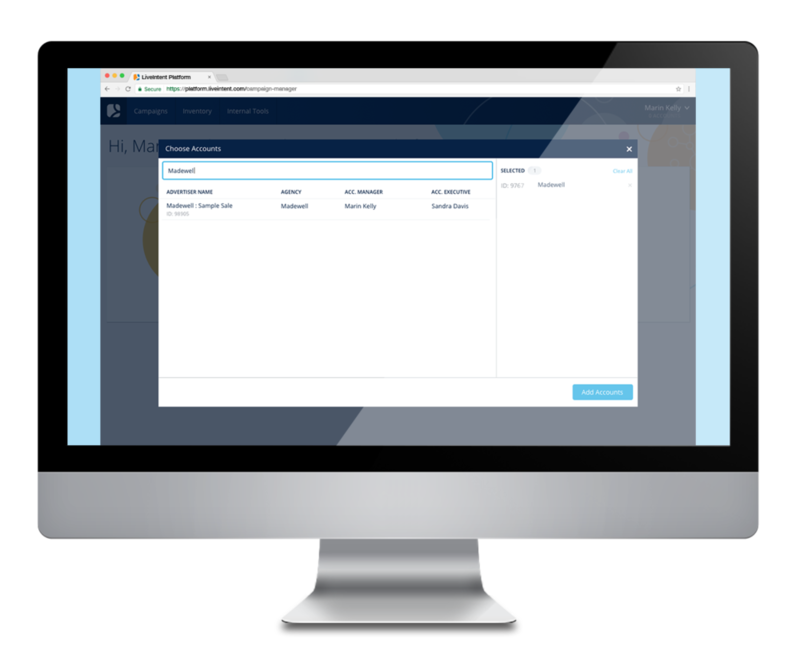 We collaborated with multiple development teams to translate product features into executable releases. I created process flows, wireframes, prototypes, visual designs and worked with two other designers to validate concepts through conceptual and usability testing. Efficiency, value, insights and action. The current application has no clear workflow and is extremely disjointed, which caused a steep learning curve, and errors in setup and optimization. Although it was functional, it did not offer any insights into why a campaign may not be under performing or what adjustments need to be made in order for a campaign to hit its goal. 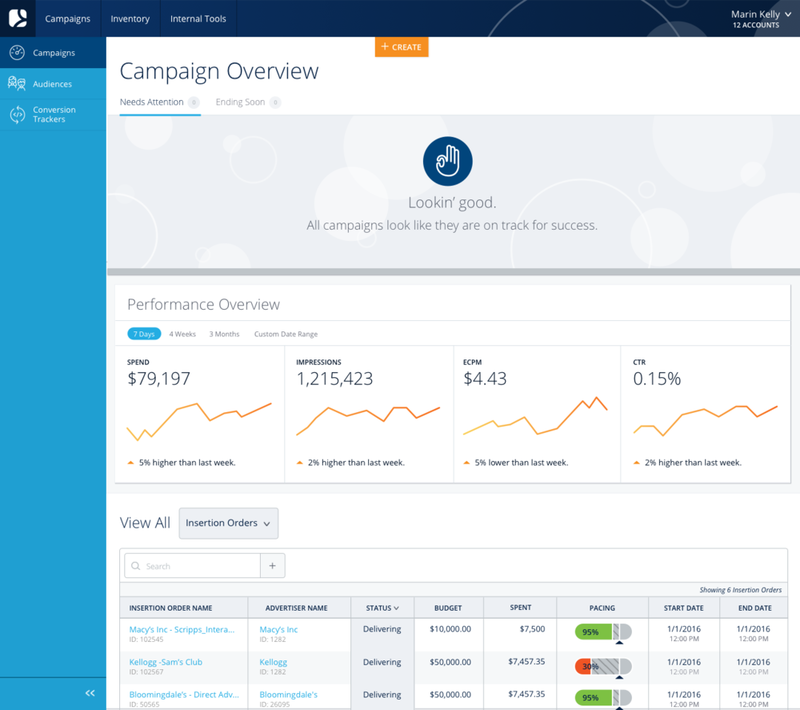 Users have been forced to use several different systems outside of the platform to understand campaign performance. Educate and involve the business side. 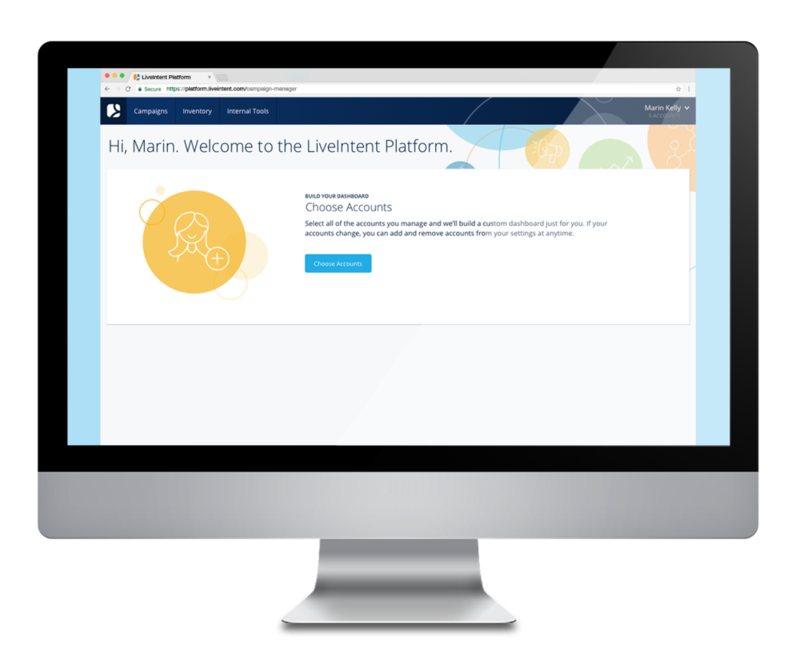 Campaign setup was a huge part of LiveIntent's business, and many people in the company had differing opinions and pain points about the process, and what was needed in order to achieve the business goal. Design was never properly established or understood across the organization, which had to be taken into account in this process. We invested time in educating stakeholders throughout the organization about design thinking. We focused on what users actually needed by studying their behaviors and actions, and brought our stakeholder into this process by communicating our finding and backing up all our decisions with data. Our designs were driven by customer and market research. We held interviews and shadowing sessions with internal and external users in order to define user types, understand the trafficking process and gain insights into our user's motivations and decision making. We used a service blueprint in order to identify opportunities and improvements where the Campaign Manager would satisfy existing needs and gaps. 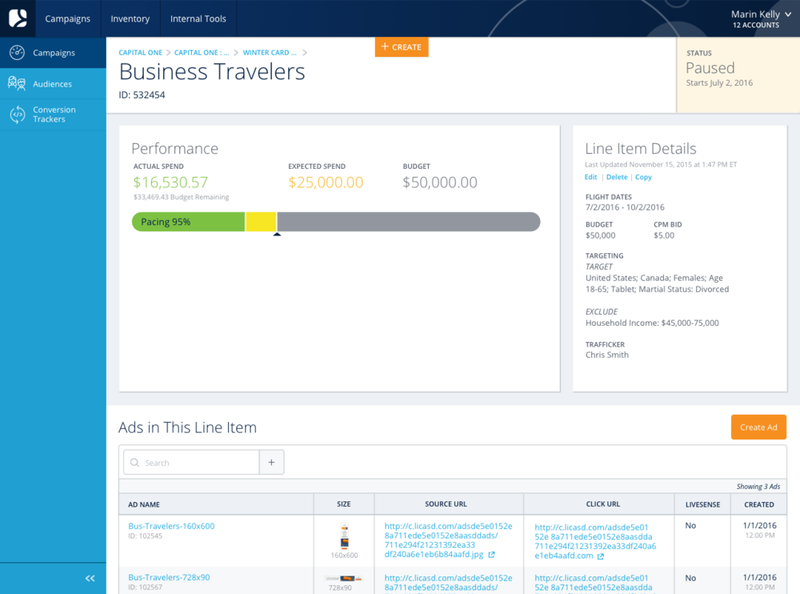 We wanted to make sure users had all the information they needed to to monitor their campaign performance, and bring to surface campaigns that needed immediate attention. This would also set a framework for us to get more sophisticated with recommendations in later iterations. This would allow us to automate several actions a user would have to manually enter, making them more efficient and leaving less room for error. This also aligned with business requirements to set up new optimization on the backend. We decided we would rethink the workflow entirely in order to guide the user through their tasks. Levels would be abstracted and redesigned into one workflow that aligns with the users’ mental model. There were several technical requirements, which were different for each of the user types. We started by reviewing how our system was designed and built out process flows to map out user interactions and where we could optimize the backend too make the system smarter. Since we wanted to create a tailored experience for each user, the process flows needed to reflect different user type options and system settings. Creating these flows was an iterative process. A lot of the current processes were unknown and extremely technical to the end user, which caused a lot of dependency on other people. I took a lot of time to really understand the technicalities in order to simplify the workflow into something the end user would understand. We consistently met with product and engineering stakeholders to ensure we were designing an experience that would align with our new API and cover all the business requirements. The process flows laid out the content for the screens that needed to be wire-framed. We initially started wire-framing with white-boarding sessions and sketches, and built out all of the screens out using Sketch. We used the wireframes to create a prototype to use in the user testing phase. In preparation for user testing, we determined the areas we wanted to review and observe and created a script to ensure each test was standardized so that our data would be comparable. We scheduled sessions with both internal users, which we conducted on site, and with external users, which we conducted through join.me. Between sessions we debriefed on on our findings and made iterations to the prototype where goals were unable to be met. During testing, our management center designs really evolved, as we observed from our users which information was really valuable to them, and helped tell the story of their campaigns performance. By the end, we validated the design and concepts, including our new campaign creation workflow experience, and made sure our designs met all of the user needs. Once our wireframes were validated, I applied the brand through visual design. The below gallery shows designs that went into production.